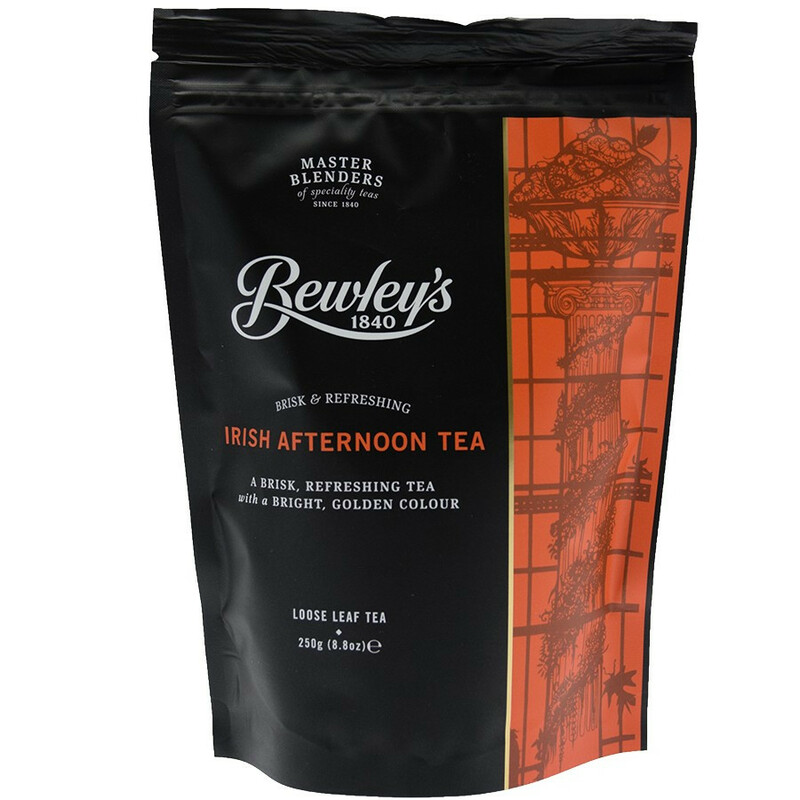 Bewley's offers with its Irish Afternoon, a lively and invigorating tea, a blend of whole leaves of black tea. It is powerful and creamy and can be enjoyed perfectly in the afternoon. This loose tea bag is re-sealable to keep the tea fresh. Bewley's Grafton Street in Dublin is a tea mecca in Ireland's capital. We find in this living room, stained glass designed by Harry Clarke. An original feature since the opening of the doors of the cafe in 1927 that we find today on the products of the brand. Master Blender Tips: Preheat the teapot by rinsing with warm water. Pop in one heaped teaspoon of tea per cup. Pour in boiling water and leave to brew for 3 minutes. Reseal your pack to keep your tea fresh.